AlDub meets KathNiel and James Reid! What happened was shocking! Home / Life / AlDub meets KathNiel and James Reid! What happened was shocking! What would really happen when the three most loved loveteam in the showbiz industry cross the same path? What could possibly go wrong? Well, this has already took place. On April 17, 2016, the AlDub, KathNiel and James Reid have met each other in the 47th Box Office Entertainment Awards of GMMSF. In the short video that was uploaded on Instagram, Maine Mendoza and Alden Richards were seen shaking the hands of Kathryn Bernardo, Daniel Padilla and James Reid and was even heard congratulating them. 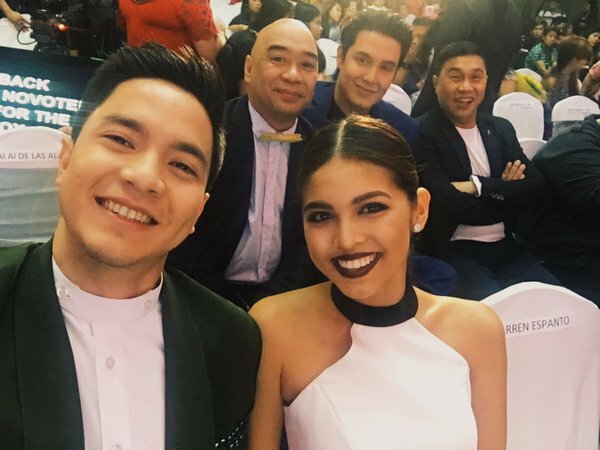 In the said awards night, the love team of AlDub has garnered a lot of awards and recognition, in fact, even the trio of Jose Manalo, Wally Bayola and Paolo Ballesteros received an award in the said awards night.